Mehreen Kaur Pirzada is an Indian actress and also a model. 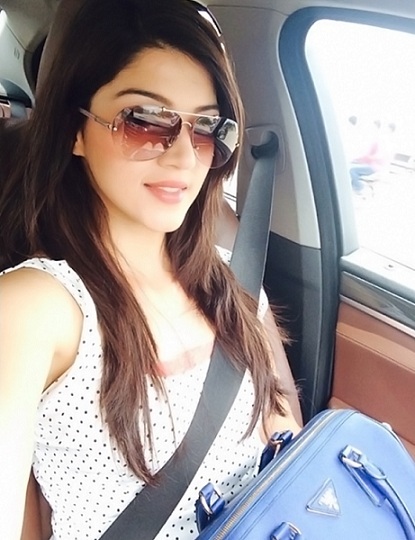 View Mehreen Pirzada age, height, weight, biography is available here. She was born in Bathinda of Punjab state on November 5th, 1995. Her height is 5 feet 6 inches. 168 cm is her height (1.68 metres). She was born in a Sikh family where Mehreen father is an agriculturist and her mother is a homemaker. Gurfateh Pirzada who is an actor is her younger brother. Also, she did her early schooling from Mayo College Girls’ School, Ajmer. Then, she completed her high school from Pathways World School. She has contributed her services to NCC. She has won Miss Personality South Asia Canada 2013 in Toronto. Also, she appeared as a model in many commercial advertisements. Her debut into the film industry is with the Tollywood film Krishna Gaadi Veera Prema Gaadha. In the movie, she played the role of Mahalakshmi opposite to Nani. The movie is a blockbuster hit at the box office. Then, many offers have come to Mehreen Pirzada. Then, she played a female lead role in the Mahanubhavudu movie in which Sharwanand has played the lead role. Also, she appeared in Raja The Great movie opposite to Ravi Teja. She made her debut with the Telugu film Krishna Gaadi Veera Prema Gaadha. 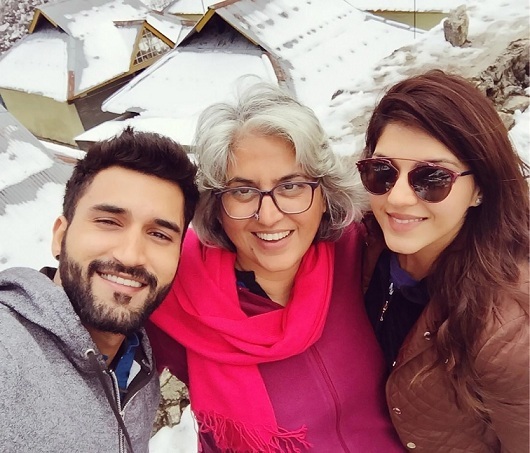 Mehreen Pirzada made her Bollywood debut with Phillauri movie. The first ramp walk of Mehreen Pirzada took place at the age of ten where she has also won the Kasauli Princess title. As a dancer, she represented the Young Global Leaders Conference at Washington DC and Newyork. She is a national air pistol shooter. She is the silver recipient from Duke of Edinburgh for Adventure and Trekking. 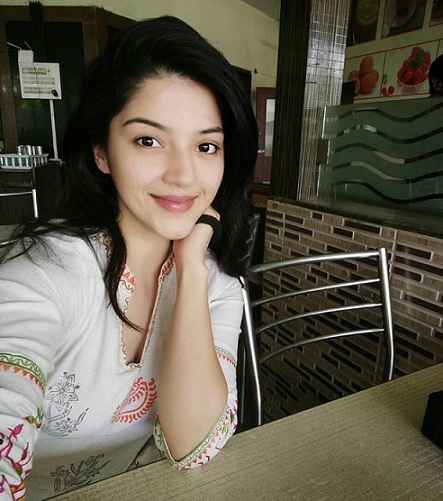 Mehreen Pirzada is now busy with Telugu and Tamil movies. She is now working for Jawaan movie which stars with Sai Dharam Tej. 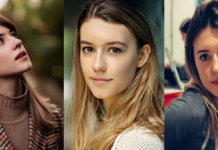 Also, she is playing the lead role in C/o Surya movie in which Sundeep Kishan is playing the lead role. Then, she will appear in Sangham movie which is presently in the shooting phase. 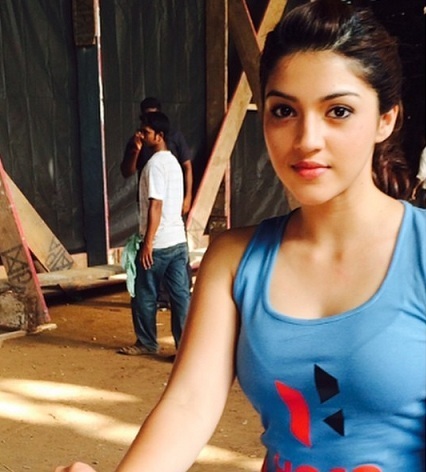 Along with the Telugu films, Mehreen Pirzada is also for a Tamil movie Nenjil Thunivirundhal. Nenjil Thunivirundhal movie stars with Sundeep Kishan and Vikranth in the lead roles. The movies will be released next year.